Are you too busy to eat well? 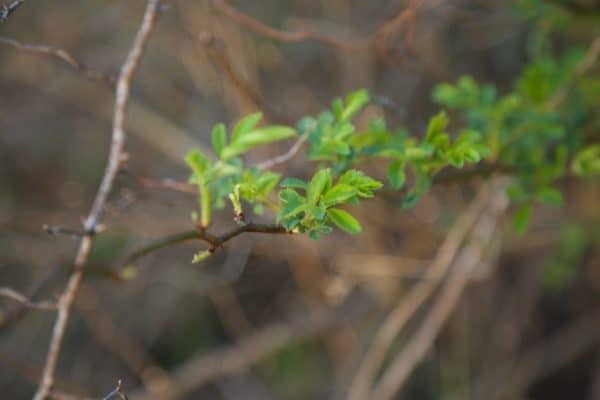 Are you wanting to learn foraging & wild edibles? Or maybe wanting to teach your children or grandchildren our natural way of moving and receiving from our home, the earth? This quick little blog is a simple way to do all of that in a very short, or longer if you wish, amount of time. Let’s’ make foraged pesto! Sure, you can take a class, or get some wild edible books (I’ll list a few at the end), I do recommend both. Aaaand, you can start foraging right now, or maybe at the end of the article, by making pesto from plants you can find right near you. I was up early this morning and wandering around the land with my morning tea. In two minutes I found all of the plants in this list. 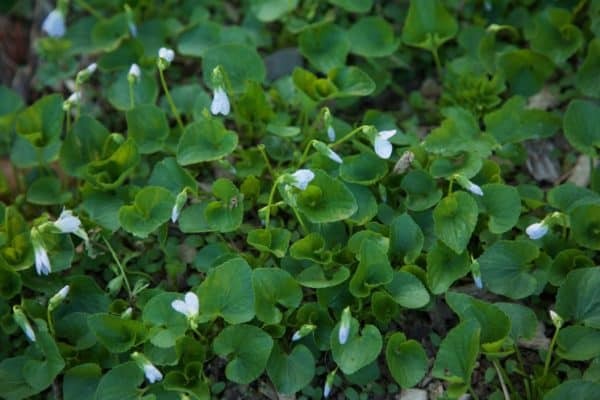 They all are common “weeds” you would find growing around you and none of them are at risk of being over-harvested. Think of this as a treasure hunt with delicious pesto as your prize. If you wanted to receive even more benefits, wander slowly & barefoot with your basket letting detailed thoughts go about your day. Listen to the sounds around you, give thanks to the abundance of life and the gift the plants are offering to you. See if you can sink into your own ancestral heritage, your birthright to wander and walk on this beautiful blue green orb we call home. Now for the very difficult pesto recipe. Combine the leaves, garlic, and pine nuts in a food processor and pulse until coarsely chopped. Add 1/2 cup of the oil and process until fully incorporated and smooth. Season with salt, pepper, nutritional yeast and lemon. Add remaining olive oil if needed. I know it’s not an exact recipe, it’s not supposed to be. It’s designed to have you experiment and play with different plants and ingredients to find what YOU like. The fun part is probably it’s never going to be the same every time. Before we begin, a few important notes regarding harvesting. 1. Gratitude. We wouldn’t be here without the generous & abundant offerings of our ancestors, the plants. 3. Not from pesticide sprayed lawns or fields. 5. I tend to stay away from power lines. Now let’s find some plants. Of course nettles would be first on my list (She is my favorite. Please don’t tell the others.). 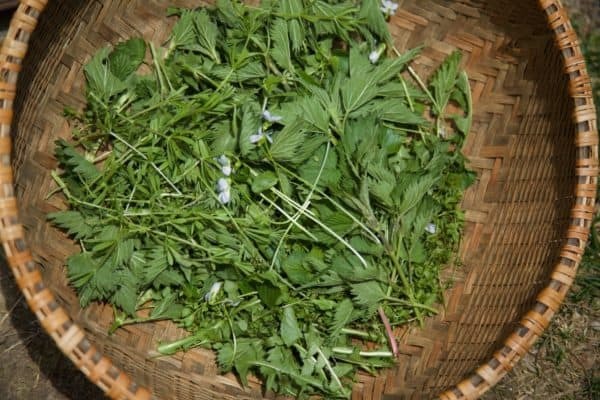 Spring nettles are delicious and if you’ve never had them, you might need to remember what real, nutritious and wild food tastes like. So maybe add a little less at first. 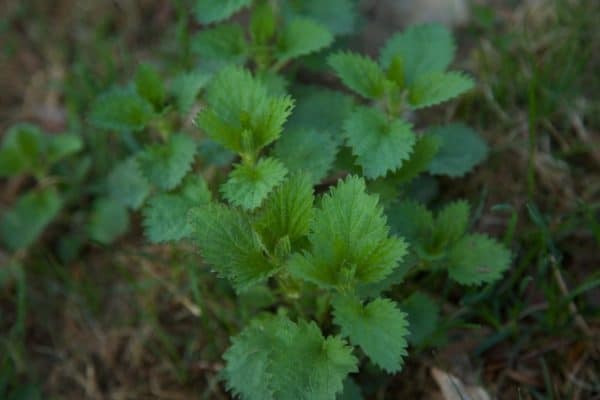 Nettles is one of the most nutritious plants on the landscape. Yes she stings. Yes we harvest barehanded. If you’re respectful and not all grabby when you harvest, she doesn’t sting much and it actually can be a fun experience. The top two or three sections of the leaves are all you need. Maybe a few from each plant. Think about pruning a few from each plant and leaving her to keep growing. **Please note you shouldn’t eat her raw. Anything with stingers or fuzz will irritate the lining of your digestive tract. Cooking will deactivate the fuzz and so will blending in your food processor. 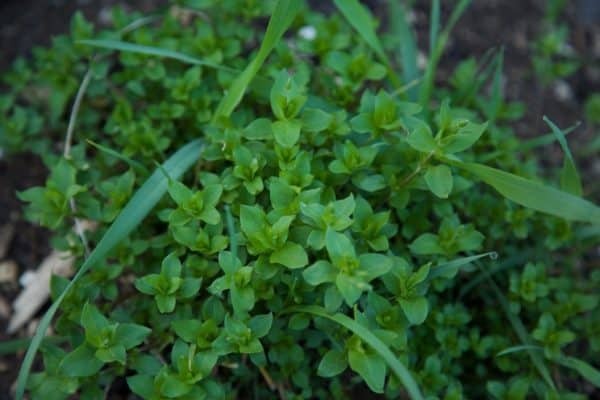 Lovely & nutritious little chickweed. Dainty and understated she is delicious in salad and pesto. You’ll find her in your garden under other plants (many gardeners “weed” her out!). She loves the cool shady places and brings that medicine to wounds, skin and the digestive tract. The flavor of her whole upper part (leaf, stem and teeny flower) is mild and doesn’t take any getting used to. 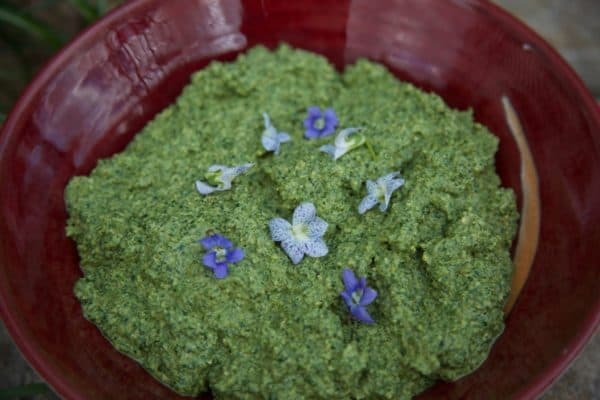 Any color of this springtime flower and her leaves are a nice addition to the pesto. Bonus, you can garnish the bowl with the edible flowers. Where I live, this “invasive” is just starting to flower. Use the leaf, and remember while it’s garlicky, it’s also a bitter. Taste this one raw and decide how much you want in there. Harvest and eat as much as you’d like because this one will take over the understory of the forest and out compete the other “native” understory plants. I had to wander across our road because we remove her from our land and invite her to live elsewhere. Of course dandelion leaf is on the list. If you use smaller leaves and before it flowers they will be less tough and bitter. Don’t worry if he’s already flowering, just harvest the smaller leaves. Taste a few to see how much bitter you want in your pesto. Bitter is an atrophied flavor to the domesticated tongue. Embrace the inner wild and bitter flavor. If you live near any fields, chances are you can find some multiflora rose. 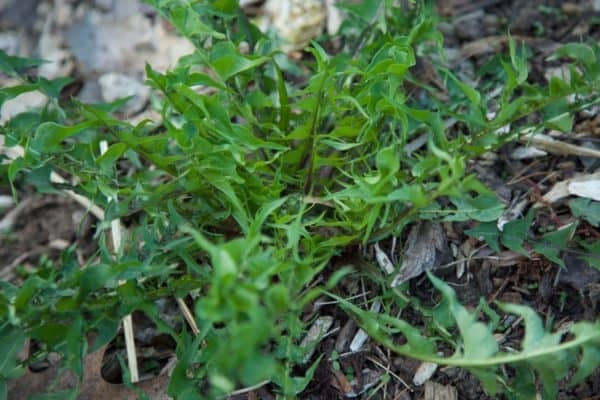 It’s considered “weedy” and many folks like to get rid of it. It’s the wild rose that will soon scent the air. 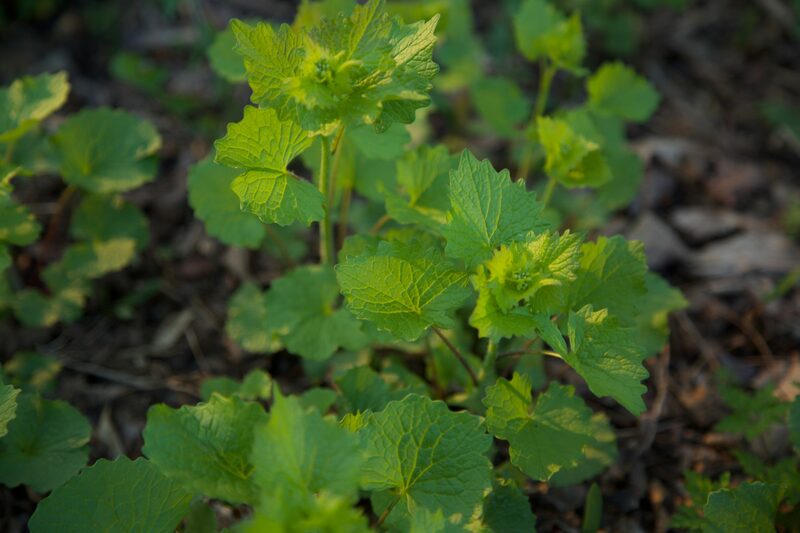 When the leaves are coming out, they are sweet and tender and can even be used as salad greens. Don’t take too many from any one branch, remember leaves are the solar panels for the plant. Cleavers cleaves, bedstraw doesn’t. 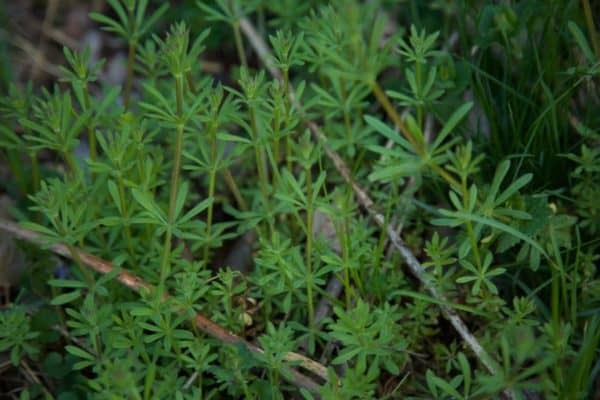 If you pick this one and it doesn’t stick to your shirt, it’s bedstraw. Cleavers is a mild lymphatic stimulant perfect for moving a little lymph after a long hard sluggish winter. Since she’s fuzzy, no raw eating. Steeping in tea or blending in the processor will make her safe for consumption. Try to harvest the leaf and stem early, before she gets too woody. Seven herbs you can go start getting to know in ways your great grandparents did. The ways you want your grandchildren to. Happy foraging. Edible Wild Plants; Lee Allen Peterson. The basic field guide. Foraging and Feasting: Dina Falconi. A gorgeous, informative and recipe filled book. The Forager’s Harvest; Samuel Thayer. My favorites…all three. Great resource all around!! Incredible Wild Edibles; Samuel Thayer.